The original how-to guide for people who want to launch and run a successful freelance translation business, fully revised and updated! 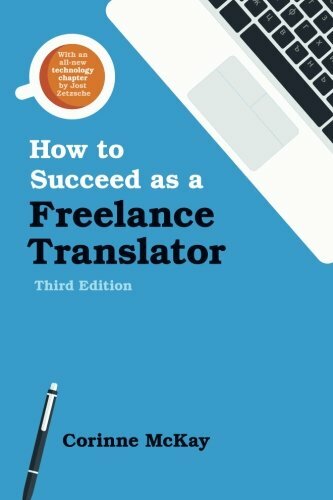 With over 10,000 copies in print, How to Succeed as a Freelance Translator has become a go-to reference for beginning and experienced translators alike. The fully revised third edition includes nearly 250 pages of practical tips on writing a translation-targeted resume and cover letter, preparing a marketing plan, marketing your services to agencies and direct client, avoiding common pitfalls, and more! New in this edition: an all-new technology chapter by translation technology expert Jost Zetzsche, and more detailed information on ways to market to direct clients.